In the downtown area of Winnipeg, Manitoba, Canada, there is beautiful site called The Exchange District that is considered a National Historic Site of Canada. 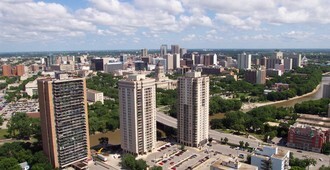 There are approximately twenty city blocks and nearly 150 buildings in the Exchange District and offers Winnipeg’s finest cultural, dining and retail amenities. The Exchange District comprises North America’s most extensive collection of turn-of-the-twentieth-century architecture with the 30-block district showcases.